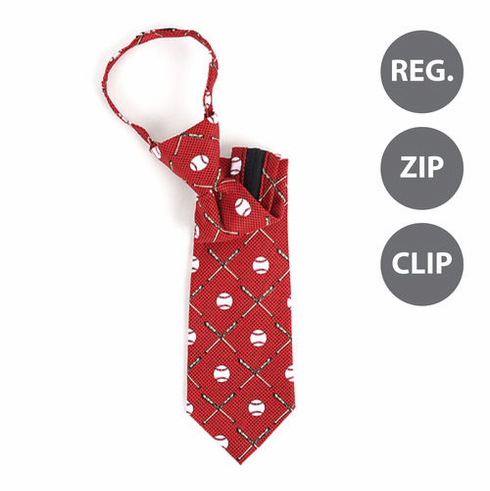 These boy's polyester printed neckties feature baseballs and bats on a red/burgundy background. Youth regular tie measures appx. 48" long and 2 3/4" wide. Youth zipper tie measures appx. 14" long and 2 3/4" wide. Larger youth clip-on tie measures appx. 14" long and 2 3/4" wide. Smaller youth clip-on tie measures appx. 11" long and 2" wide. Everything Baseball also offers this design in an adult size!